Software testing can greatly impact the implementation and success of delivering software projects. Effective Automated Software Testing can become a sustained source of competitive advantage for organisations. It can allow organisations to deliver quality software projects with sustainability, durability, uniformity, and last but not least, maintainability. These together can enhance the way an organisation provides its customer quality experience and “value proposition”. Effective automated testing also provides time and costs savings. Lower operational costs provide organisations with the flexibility to simplify testing and transition more resources into other operational activities such as product development, product analysis and research and development for subsequent software developments. However, knowing how to carry out automated testing effectively can be a daunting task for organisations, regardless of the stage of digital maturity your business is at. It is extremely important that businesses of all sizes and stages of growth integrate effective solutions for automated testing. Without effective automated testing, businesses will find they are losing efficiency and will face escalating costs to streamline their testing software capability. Here at Testpoint, we understand the needs of our clients. Ultimately, organisations want operational, reliable, robust, maintainable and resourceful automated testing solutions. Without a depth of knowledge and experience in automated testing, organisations will face stern challenges. It can be particularly difficult to constructively manage the setup, integration and framework aspects of automated testing. This article highlights these challenges and provides insight into how automated testing with Vansah improves software quality assurance capabilities and efficiency of your organisation. Efficient testing provides both cost and time benefits that can help your organisation allocate its resources more effectively to deliver new software projects and also get better performance out of existing software. Automated testing presents a number of challenges. Frequently, we see that it is implemented with limitations and inadequacies. Automated testing is often employed to replace repetitive, long and manual testing process that are often prone to errors. However, the test automation requires proper design and suitable frameworks necessary to integrate with the rest of the software development team. It is important for organisations to implement a testing system that can get the testing process right from the outset and avoid unnecessary repetition that can escalate costs. Organisations that have experienced frustrations in this process can find it difficult to see the benefits of automated testing. However, Testpoint’s Vansah Testing platform will ensure that your organisation integrates a framework, which builds a quality solution in line with business and customer requirements. Furthermore it creates performance perspectives in different layers of the software, as well as meaningful visualised reports and analysis. This helps software development teams to understand the functional and non-functional bottlenecks of the software, whilst providing on going support to overcome the issues. Vansah employs a process to create synergy between automated and manual testers. [i] Any number of automated testing robots, tools or solutions can be integrated into the Vansah’s enterprise-testing platform. This integration provides an opportunity for your project team to plan, execute and manage testing with speed, efficiency and repeated consistency. Vansah creates a testing solution that is simple and easy to apply with the necessary operational agility that your competitors will find it hard to emulate. One of the challenges of automated testing is often the limitation of testing structures and frameworks. 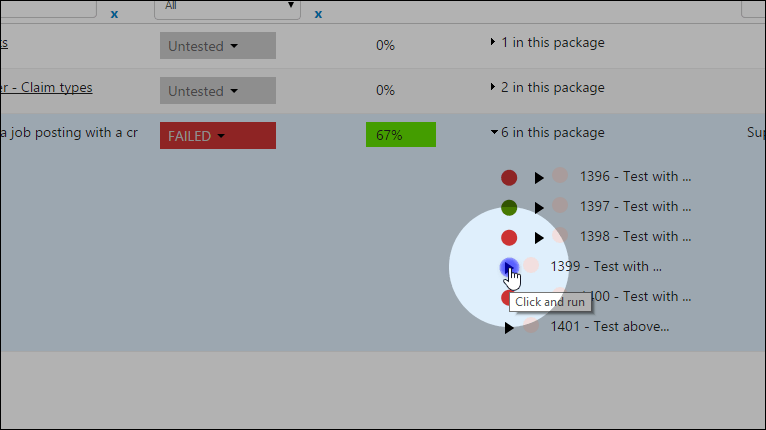 Testpoint’s Vansah QA framework overcomes this issue by allowing testers to access results in real time. By being able to access results in real time, testers can identify and make adjustments with speed and accuracy. It increases an organisations ability to expand its testing coverage and allows testers to adopt automation to a larger volume of software. Furthermore, it expands the operational agility of your organisation and improves the responsiveness of your digital team. Consequently, subsequent software developments will become easier to execute and a more refined testing process will increase the quality of software delivery. The Vansah QA framework also has the advantage of providing a higher level of visibility for testers. It allows the root cause of any issues to be identified early in the development process[ii]. This has the effect of lowering the risk of errors appearing later in software development. Any issues that occur later in the development process can incur huge costs to remedy and can blow out budgeting and scheduling. Poor visibility can cripple an organisation’s ability to successfully deliver projects. A high level of visibility can also help an organisation allocate its digital resources effectively. The Vansah framework will identify any further opportunities where testing can occur and allows IT teams to pinpoint where they can add real value to software projects. This goes beyond metrics, data and analytics and provides IT teams with the ability to understand where they can improve how software projects are delivered. Having the ability to understand where software gains can be made can provide a source of competitive advantage for your organisation. 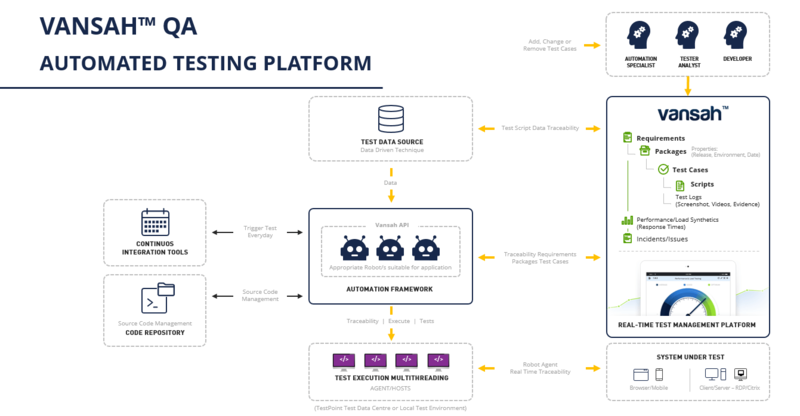 Testpoint can provide the services that will help your organisation support an automated testing framework instantly. We will deliver outcomes with enterprise capabilities and support them with a managed service to deliver testing coverage on your software projects. Furthermore, Testpoint will build on continuous testing services for your organisation and provide consistent, effective automated testing that your organisation can rely on time and time again. Automated testing with Vansah can transform how your organisation tests and delivers software developments. Testpoint can provide your organisation with the ability to test with a high level of efficiency and effectiveness and provide a source of real competitive advantage for your organisation. No matter the size of your business, automated testing with Vansah will help your organisation overcome the challenges frequently associated with automated testing.